The Pioneer AVH-X5750BT multimedia receiver offers unparalleled audio and visual entertainment as well as enhanced smartphone connectivity. Although in-car entertainment systems are not a necessary part of a vehicle's performance, they can greatly enhance driver satisfaction. In fact, some car owners find the in-car system to be one of the most important factors in their on-the-road enjoyment. 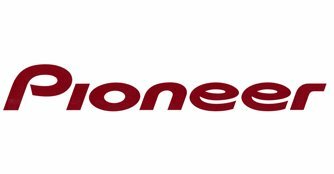 Pioneer was founded in 1938 in Tokyo, Japan, by Nozomu Matsumoto and has since grown to international stature as a leading manufacturer of audio and video products. From the employees at Pioneer's research labs looking for the 'next big thing' and the engineers at its factories focused on quality assurance to its product trainers explaining the new technology andits customers - Pioneer remains passionate about creating an unbeatable entertainment experience. 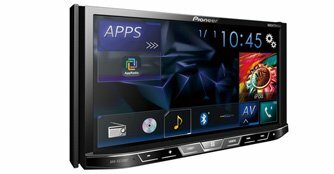 The leader in aftermarket car entertainment systems, Pioneer Electronics, recently introduced its new lineup of in-dash multimedia receivers and one of them is the AVH-X5750BT. For starters, the AVH-X5750BT offers improved video parameters to support an extensive range of video codecs including DivX, Xvid, H.264 and MPEG4. Thanks to an improved DVD drive, drivers and passengers can enjoy clearer and sharper imagery. These images are delivered by more sophisticated graphics and the intuitive GUI is also easier to navigate with the new Home Menu Display. In addition, the Music Playback Display sports more shortcuts including direct access to MIXTRAX, equaliser settings and list search.